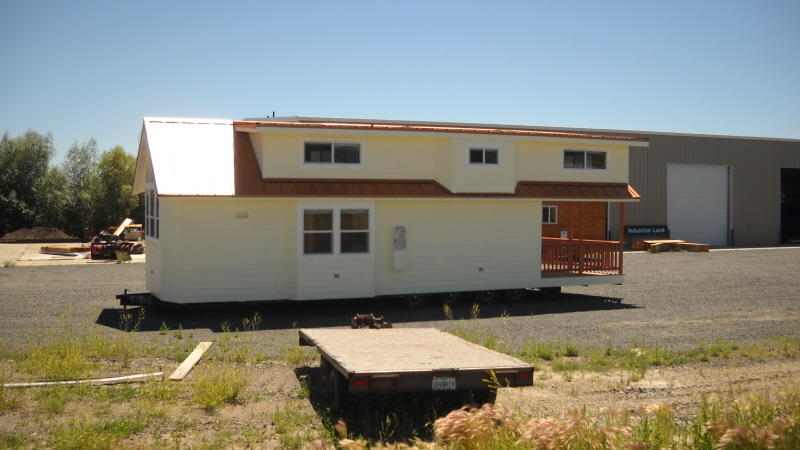 Another style home that should be considered in the small home quest is the “trailer.” A trailer is a manufactured home, but not all manufactured homes are trailers. When you say “trailer” all sorts of negative images pops into your head and for good reason. Unfortunately, in the area of North Carolina where I live those negative stereotypes actually do exist… and all too much! Many of the trailers you see around here are dilapidated, single wide and the grounds are a mess with trash, old cars, etc. However this should not exclude them from consideration. 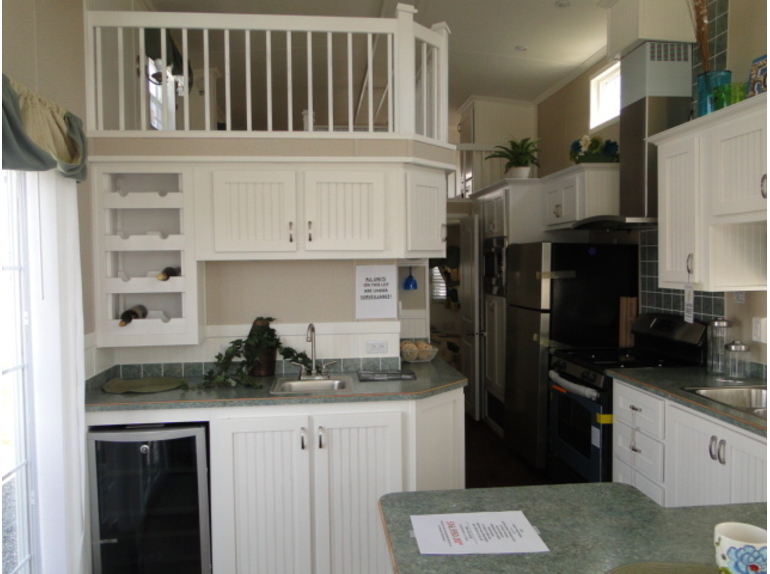 There are some models that are actually very nice with vaulted ceilings, large kitchens and baths. 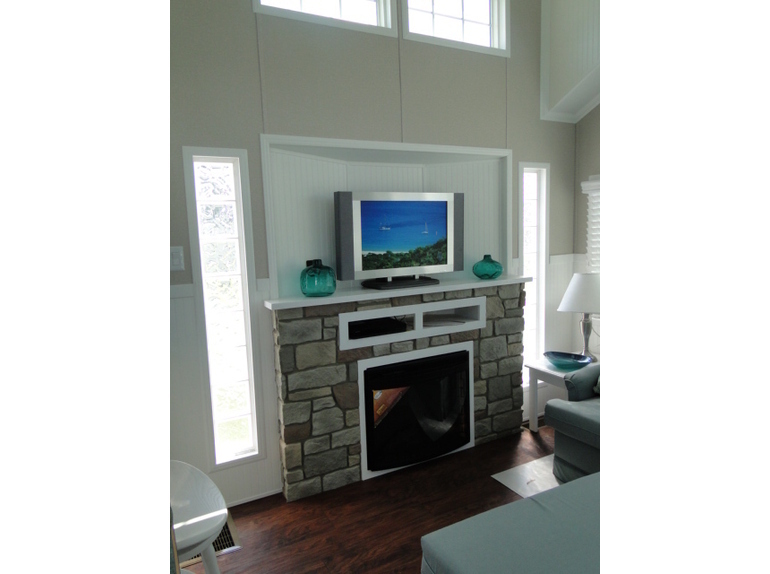 They are a cost-effective alternative to traditional construction. The models I find most attractive and that coincide with the small house movement is the Park Models. 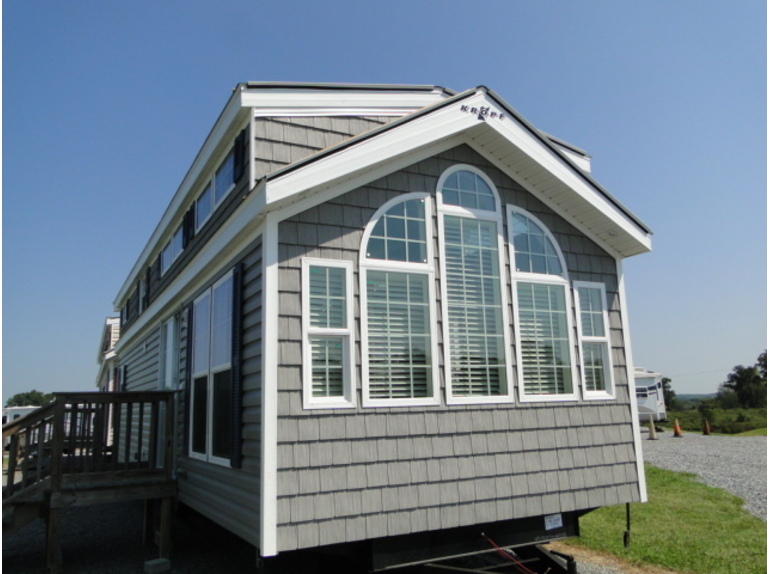 Park Model Homes is a trailer home, but primarily designed as a holiday or vacation home. They average about 400 square feet, but are usually quite lovely inside with higher end appliances, flooring and fixtures. 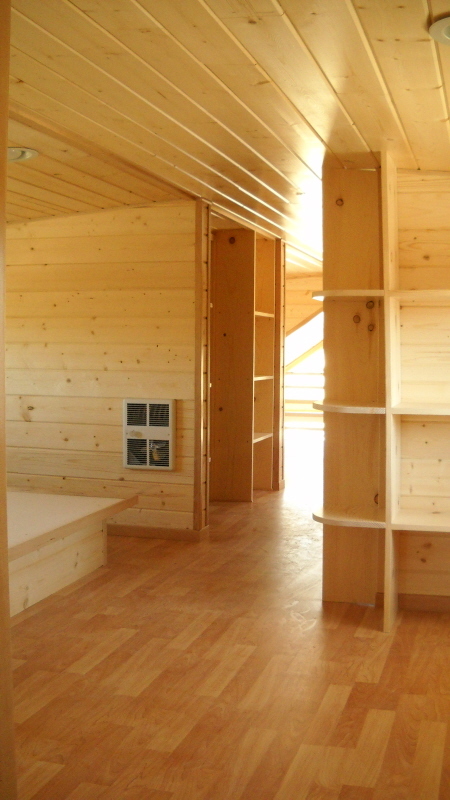 They are one bedroom, but most have a loft space, which is great for children and storage. The problem with the loft space in a Park Model is you can’t stand up. They tend to be about 4 1/2 feet in height so really the use of the space is limited. I found one park model company called Diamond Park Homes. 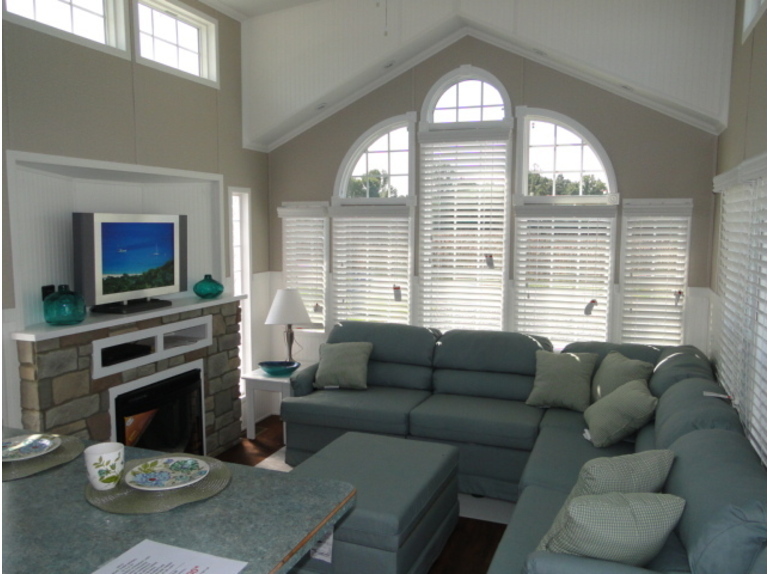 They have some models that do away with the loft and so provide wide open and vaulted ceilings. Here are some examples. 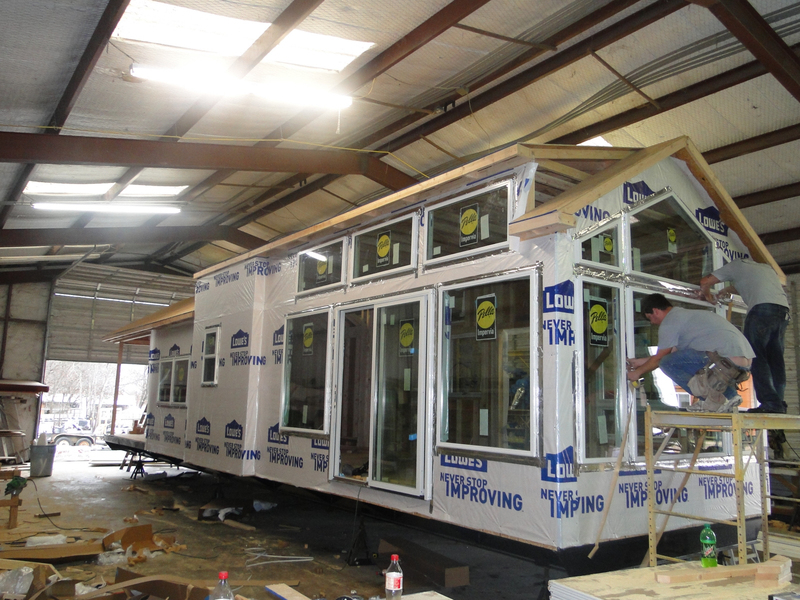 Some of the benefits of manufactured construction is that the homes are not built on site they are built-in a factory which produces less waste in building materials, which lowers the over all cost of construction as well it lends itself to being more green. 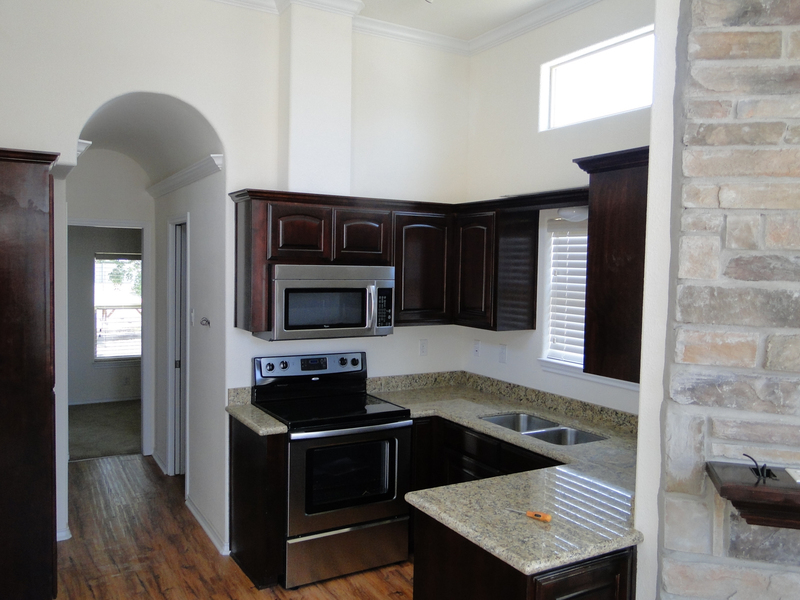 I have noticed that more often than not the Park Model homes are sold as a full package. This means you get blinds, curtains and furniture. 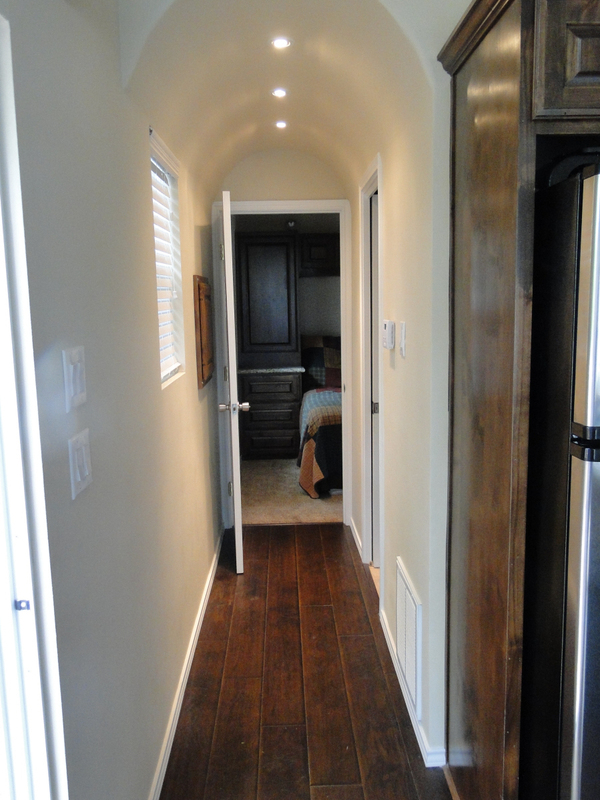 If I were to go this route I would have to get rid of the furnishings that came with the home. I am not a big fan of oversize furnishings. I need to keep some of my antiques after all! 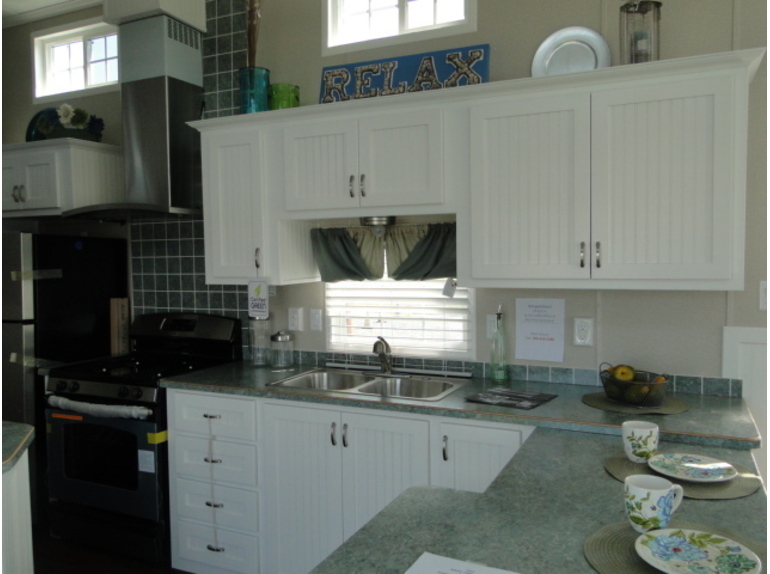 Kitchen area with wine cooler. 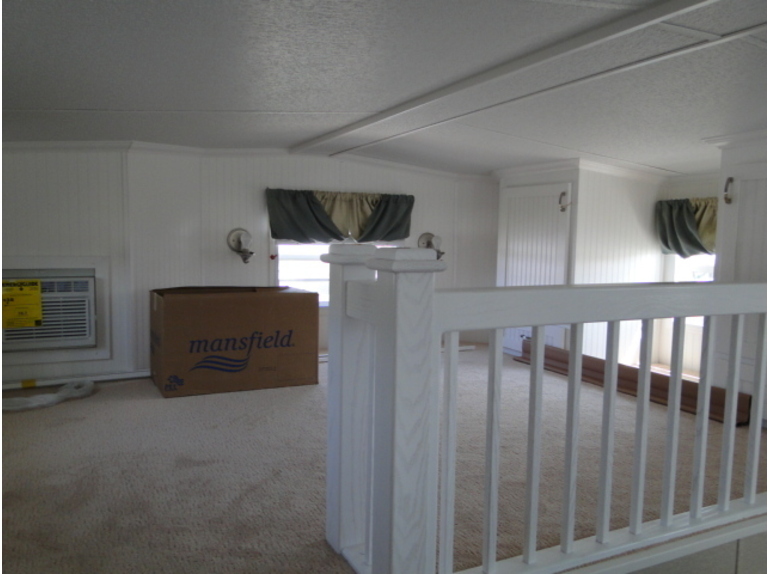 As you can see a loft space in a Park Model home has a very low ceiling. I do imagine you could have some chairs up in the loft and have it set up a wonderful little reading area. As long as you are seated it should be fine, but you will need to walk hunched over or crawl to get to the stairs. I imagine at some point due to age, it may not be the best thing. The final example I have is from a company in Oregon and unfortunately they don’t ship east. However, they build cabins that are in the Park Model style and they actually have a model with a second floor you can stand in! 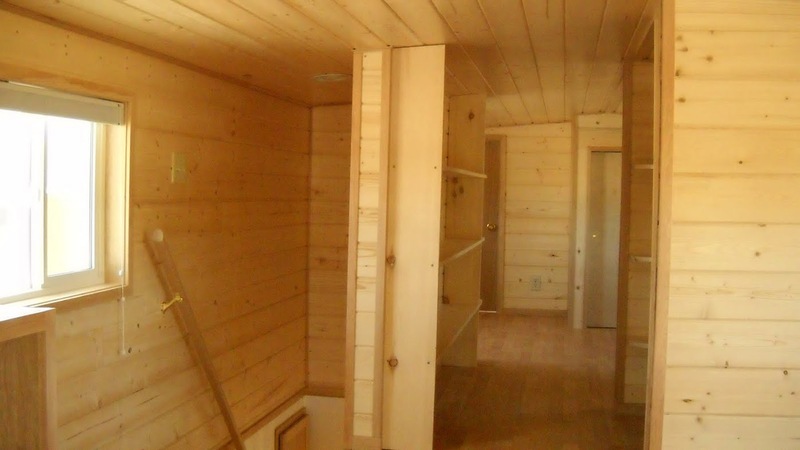 The company is called Rich’s Portable Cabins. I am not a big fan of all that wood, but I did read on their site they will install drywall for an added fee. However, I like the fact that in this model the loft is an actual usable, livable space. 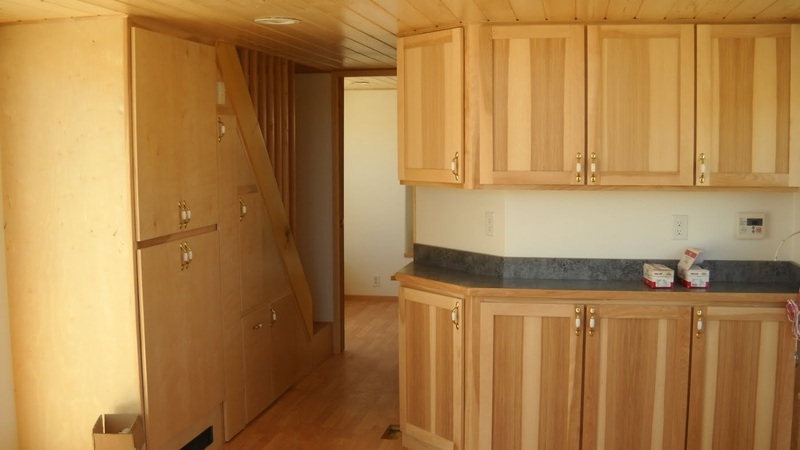 There are so many options in living small, it’s kind of exciting! 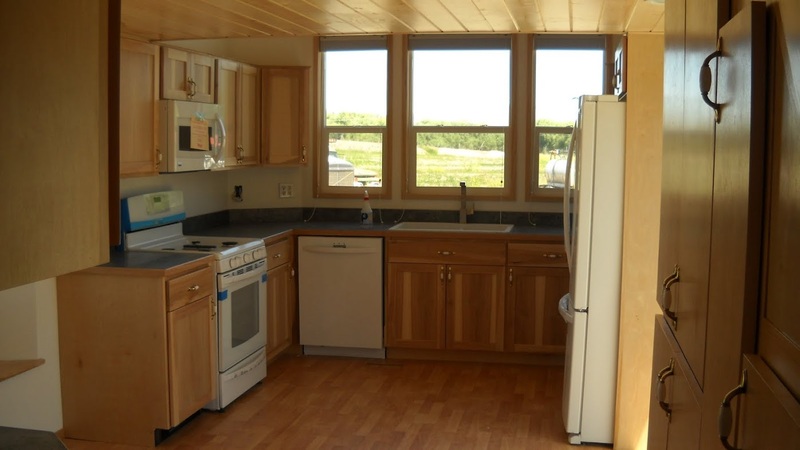 Rich’s Portable Cabins has a huge selection of homes! If you would like to see more pictures click here. These Park Models are beautiful but spendy. My husband thinks we could construct one ourselves for under 15,000 instead. Any thoughts on that idea? As always I enjoy your updates. Oh definitely, build your own if you can! I often wonder if I could build my home myself. I often think about going this route myself. 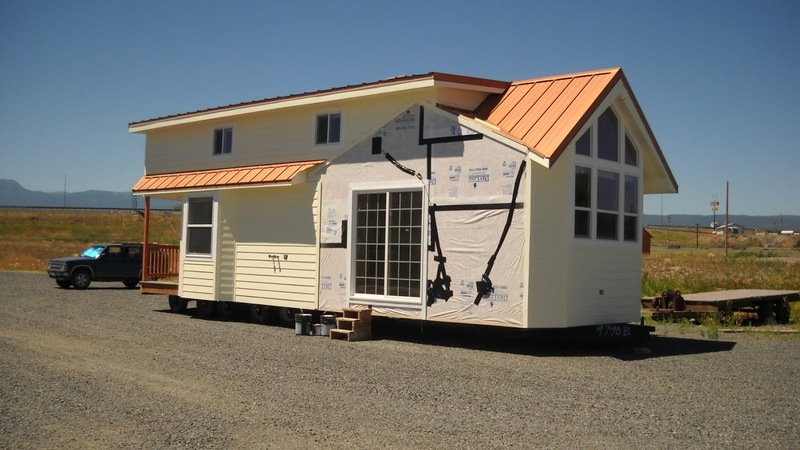 This is partially why I have looked a the tiny homes by Tumbleweed. As you may purchase the plans and build them yourself, though I suppose you could do this with any plan really. I haven’t come across any park model plans though. They must be out there somewhere and I believe building one at 15k is possible. I am a fan of the Park Model design but found that in the county where I live, and maybe elsewhere, the building codes will not allow these to be use as permanent living quarters on private land, so sad. Please check this out before you buy. Yes, it is sad that we have so many outdated codes that vary from region to region. I think I read somewhere of a story of someone who found out the hard way. They purchased something similar and were told they could not put it on their land. Very sad. My niece built her own tiny home on a trailer and transported it from Minnesota to some friend’s property in Washington state. It is pretty basic, but works for someone who is 23 and does not want debt. I like your ideas. 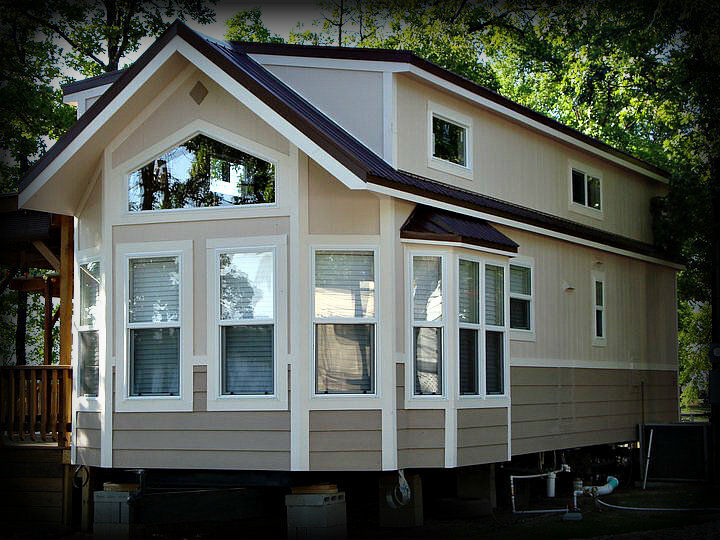 Any way we can have smaller homes is great! Kudos to your niece! I am trying to figure it out as someone who has some things that I don’t want to get rid of and is 46 years old. I am not so sure going up and down a ladder when I reach my 60’s would be best so I think I may skip the tiny houses on trailers, myself.